Bands, musicians, producers and DJs perform covers, versions, remixes or interpretations of the 1920s and 30s out-of-copyright folk, blues, jazz and music hall from the Open Music Archive as a series of live plugged and unplugged performances. 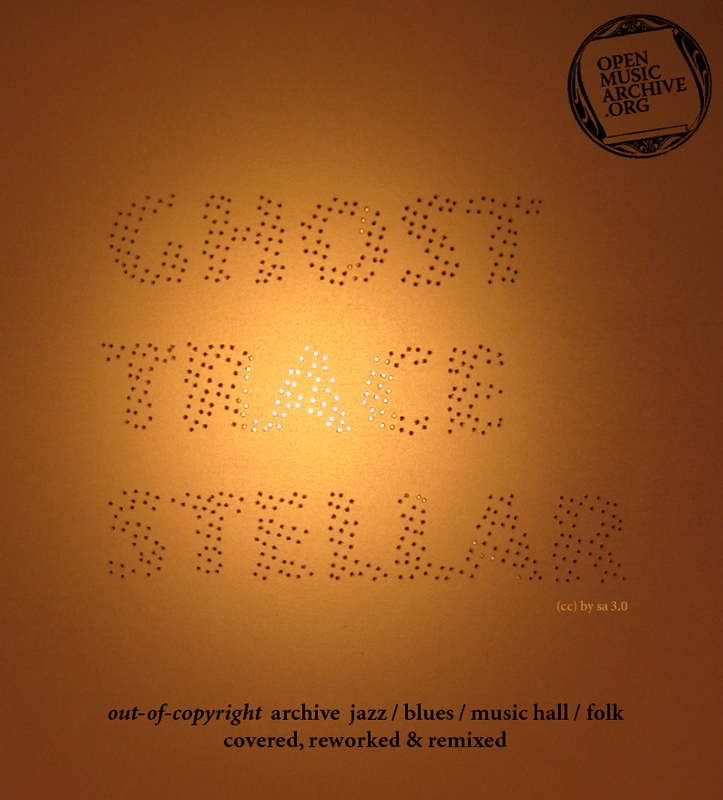 Gho st Trace Stellar features specially created sets of covers along with archive DJ sets and a discussion with Open Music Archive - Ben White & Eileen Simpson examining the implications of Free/Libre and Open Source models of creative production and distribution. The Open Music Archive established by artists Eileen Simpson & Ben White in 2005 is situated within the current discourse surrounding notions of authorship, ownership and distribution, reanimated by a porting of Free/Libre and Open Source software models to wider creative contexts. The Open Music Archive concerns itself with the public domain and creative works which are not owned by any one individual and are held in common by society as a whole. Organised by Polytechnic & Kate Sweeney.